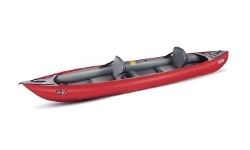 Two person drop stitched inflatable kayak. Brand new from Gumotex, the Thaya features their latest drop-stitch technology in both the floor and seat systems to provide greater rigidity. This in turn results in the highest performance kayak from their range. 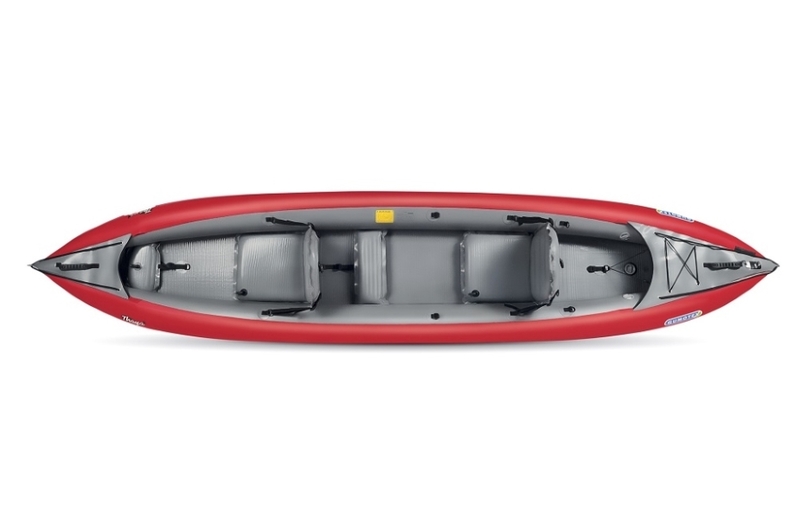 Greater floor strength gives less flex and bend which is one of the main drawbacks of inflatable boats, meaning the Thaya is more efficient on the water and provides a greater top end cruising speed of similar sized kayaks. On the water, the Thaya is stable and easy to paddle and can be used by couples, or solo by adjusting the seat positions. 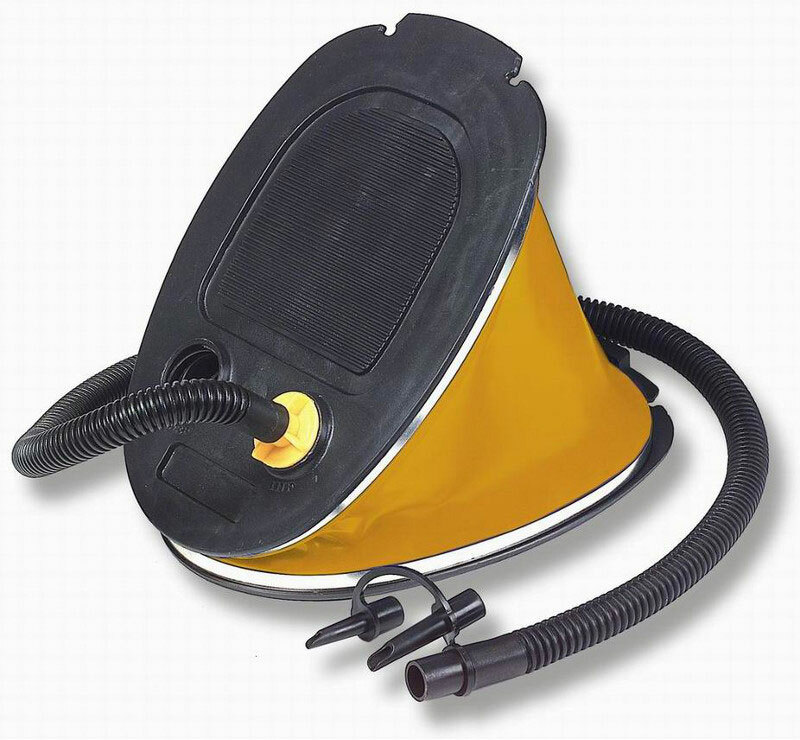 Suitable for use on a variety of inland waterways, and sheltered estuaries or coastal locations. With its long waterline length, the Thaya is a fast boat and is extremely efficient at eating up the miles and covering long distances. Gumotex even recommend the Thaya for use on moving water up to Grade 2. As with all Gumotex boats, the Thaya is strong, durable, quick drying and simply packs down to the size of a small suitcase in its very own waterproof 80ltr drybag. Perfect for those looking for a little more out of their inflatable kayak and are short on storage or transportation space. 2x Removable / Adjustable Seats. Elastic Bungee Rear Storage Area. Easy to Use Push/Push Valves. 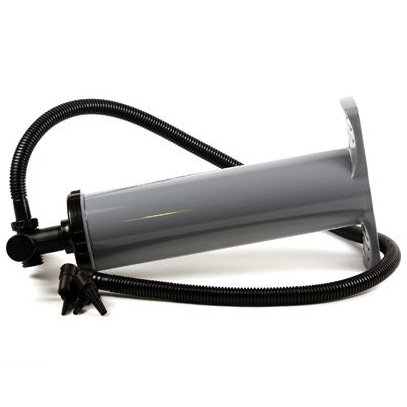 Repair Kit and 80 Litre Storage / Drybag Included. We offer a delivery service for the Gumotex Thaya throughout the UK & Ireland to home and work addresses. You can buy a Gumotex Thaya online from our website and pick it up from ourselves or from any branch within the Canoe Shops Group. There is no cost associated with instore collection*.